2019 Update - we have updated our weather balloon kit materials list to have the latest materials available from Amazon. Check out our new product page for the complete list to get you started on your next launch. During our first years of work on this project we developed what we feel to be a reliable and low cost spacecraft for High Altitude Balloon projects. In keeping with our mission, we decided to open-source the design of our “Dogeship-Class” spacecraft for anybody looking to get into this hobby but don't quite know what to purchase for their first launch. This has been a great machine to learn with and has enough room for experiments while still being very portable and flyable. 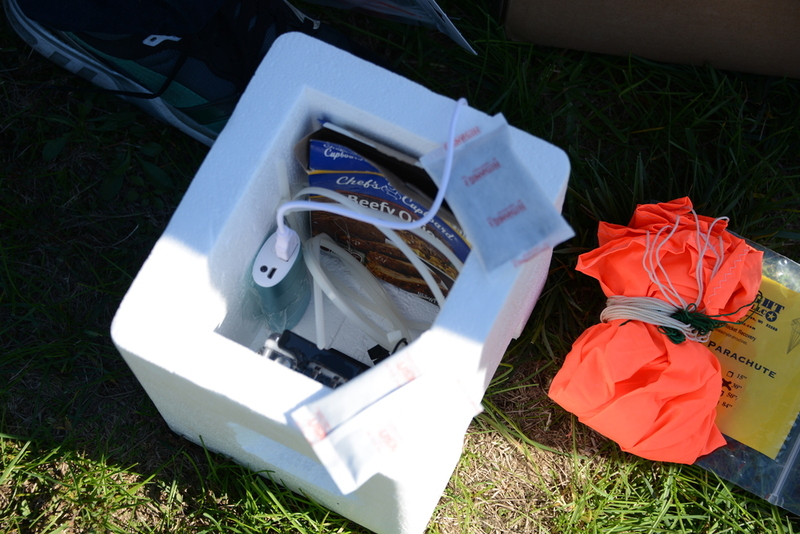 This weather balloon kit list, combined with our HAB User Guide, should get you started! Additionally, we are very open to feedback on this design - seasoned veterans, we want to hear from you! The links provided in the list (2019 list here) are all to Amazon.com and use the 'Amazon Associate' program. If you decide to purchase some or all of this material, we kindly ask that you use the links below. You pay the same price you normally would, but we get a small percentage of Amazon's normal fee as a referral bonus. Any proceeds from this will help to keep this website and resources free and available to everyone! 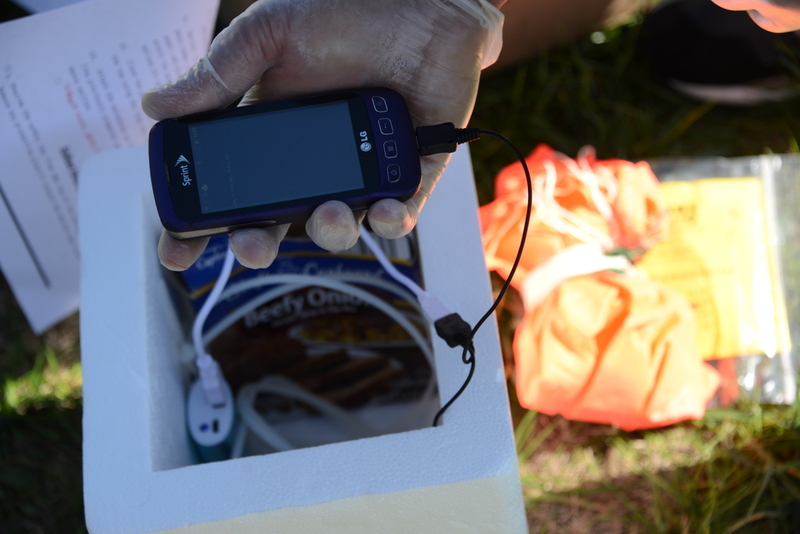 We used a single warmer last launch which seemed to work fine. Two on prior launches. Key is 36” long zip ties. This is how we attach parachute and hold everything together. Any bag of small, assorted zip ties will work. Legally must be 50 pounds or less, we use 40 pound line (the force it breaks at). Their parachutes are very high quality! Recommend GoPro for proper 1080p or 4k resolution and/or a still camera for high resolution still photos. 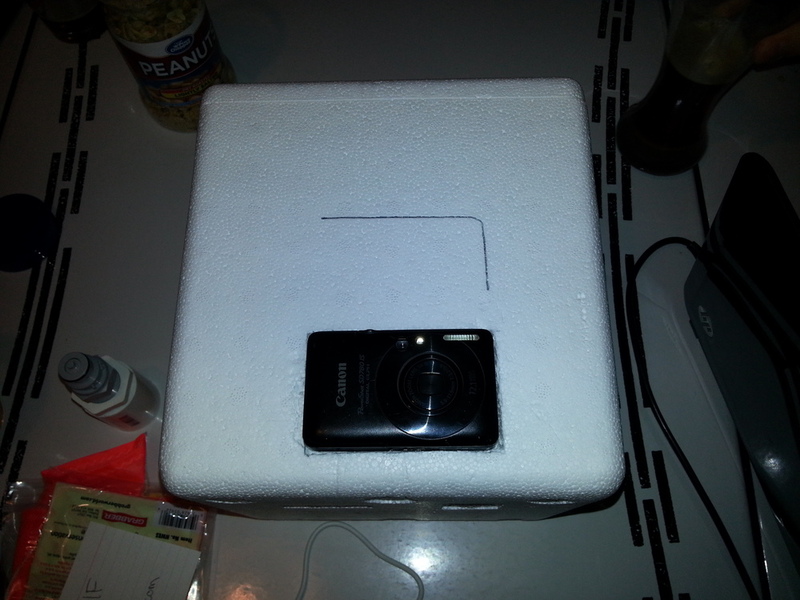 Find a used Canon from eBay -we have used the SD780IS. Make sure to get the appropriate memory card for your camera. Ting GSM SIM card - No contract, Universal SIM, Nationwide coverage, Only pay for what you use. We have used Ting for all four launches and have been very happy with their service. We typically use around 200 texts for a launch, so the price comes to around $13 including taxes. Memory Card to store Flight Data Recorder file. Our TM code presently requires a memory card to run. More details in a future post. NOTE: Our cell phone TM system has only flown a few times. While we are confident in it, if your payload is something you cannot afford to lose we recommend getting a SPOT satellite tracker for telemetry. We recommend not cutting a hole (such as this picture) in the Styrofoam that goes completely to the inside of the cooler unless you have prior experience or testing to know that your internal electronics won't freeze. We hope that you find this BOM useful and inspires you to perform your first launch! Again, we welcome feedback from any veterans as we work to make our design less complex, more efficient and less expensive.